书籍简介: The Whole Brain Business Book is the long-awaited culmination of Ned Herrmann's highly respected and extensive research and testing. 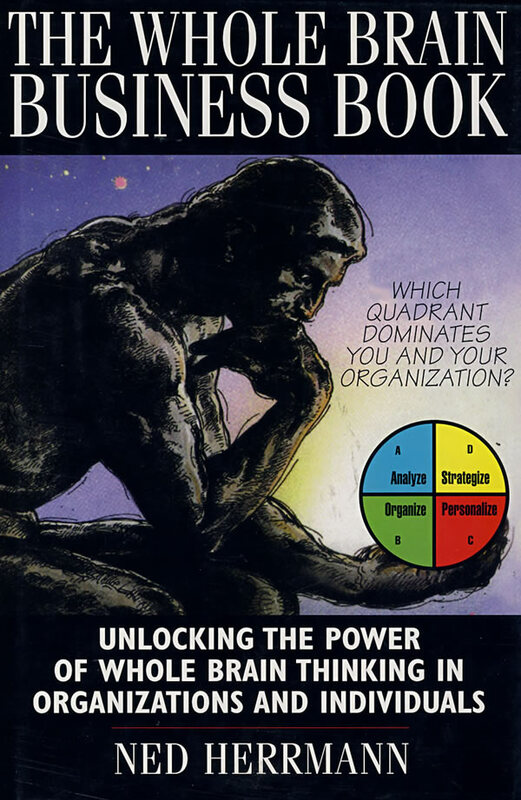 In it, he presents his four-quadrant model of the brain and the corresponding thinking styles: logician, organizer, communicator, and visionary. Most people and organizations, he demonstrates, are stuck in a ``brain rut'' because their work is dominated by just one mode. Through highly practical explorations and exercises, he shows individuals and organizations how to harness the power of the whole brain. Readers will use The Whole Brain Business Book to expand their own thinking styles--to create and manage Whole Brain Teams--and to introduce new levels of flexibility and innovation into the corporate culture. It will show them how organizations like DuPont and GE use their ``whole brain'' orientation to thrive and profit in times of chaos--and it will help them to do the same.